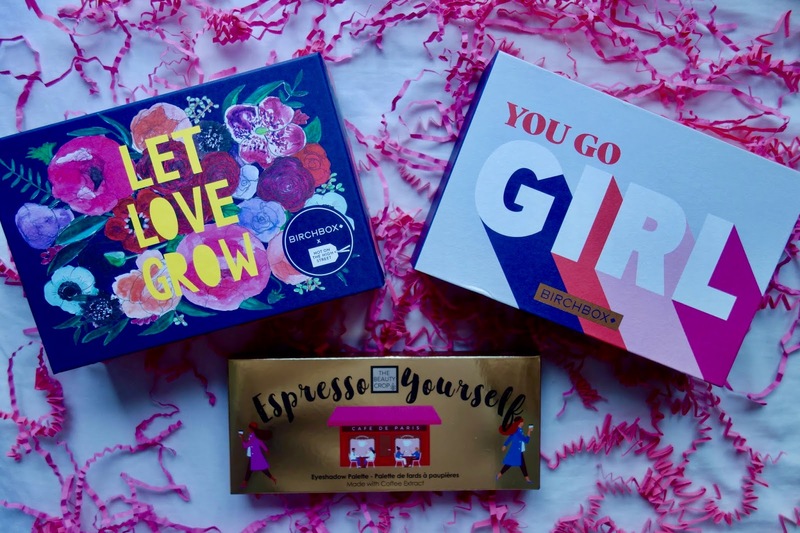 Beauty subscription boxes have been around for the best part of the last few years so today, I decided to test out one of the UK's biggest beauty box subscription service, BirchBox, to see what they had to offer in their February and March boxes. 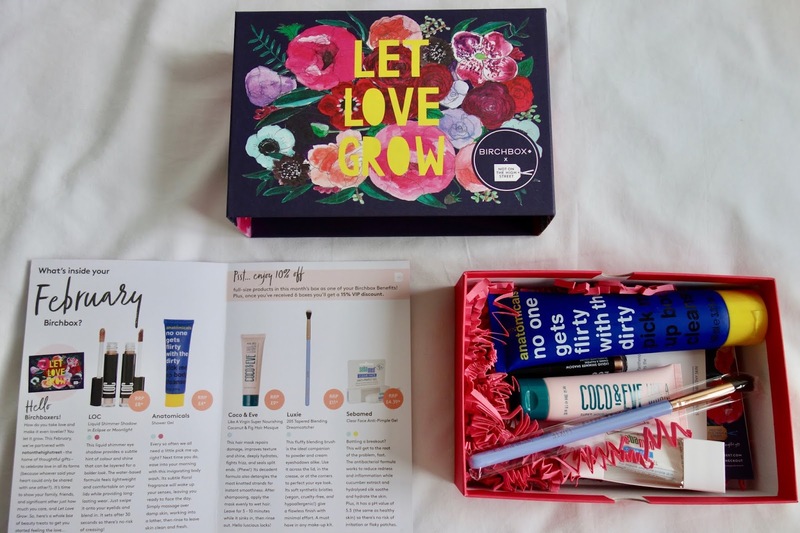 An average Birch Box retails for £10 (£12.95 inc. tax) where subscribers are typically given the opportunity to customise one full sized product in the box. February was the Valentine's Day box where the customisable full sized product was the LOC Liquid Shimmer Shadow with the option of a shade in Eclipse or Moonlight. The design of the February box is my favourite out of the two, where it has been designed by notonthehighstreet partner Miss Bespoke Papercuts. The contents of the box comes to £36.39, however I found some of the individual products to be a little bit cheaper online through other retailers. The Luxie eyeshadow brush, for example, retails for £9 on lookfantastic compared to the £11 advertised by BirchBox. Despite this, I reckon the true value of the box would be around £25-£30 anyway and for only paying £12.95, what you receive is definitely worth it if you will love and use every product featured. As an added bonus, BirchBox offer 10% off the full sized product on their shop tab. LOC Liquid Shimmer Shadow in Eclipse: I LOVE this liquid eyeshadow. 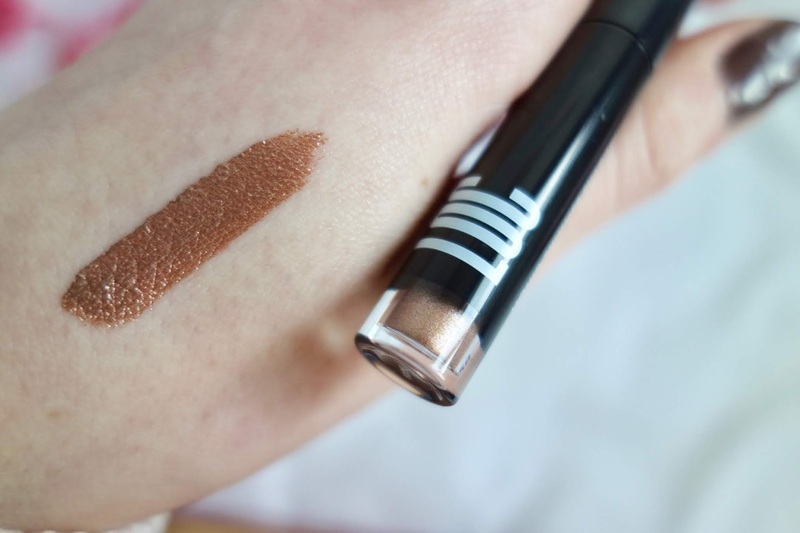 As you can see by the swatch above, it is extremely pigmented and a quick swipe on the eyelids is all you need to complete an easy eyeshadow look. Luxie 205 Tapered Blending Brush: the bristles are very soft and as a bonus it is vegan, cruelty-free and hypoallergenic. Coco & Eve Like A Virgin Hair Masque: I'm an avid user of hair masques over standard conditioners so I tend to go through them quite quickly. This one smells amazing and left my hair feeling soft after use. Anatomicals Shower Gel: this was just a standard shower gel and I didn't think it was anything special. I tend to opt for shower gels with more moisturising properties so I would not repurchase this. Sebamed Anti-Pimple Gel: although I would recommend this product to others as it contains antibacterial ingredients to treat acne instead of ingredients such as salicylic acid and benzoyl peroxide commonly found in acne products nowadays, acne is not a skin concern for me at the moment so I would not repurchase this product. As an added bonus, BirchBox offered a free eyeshadow palette with the February box as I was a first time customer. 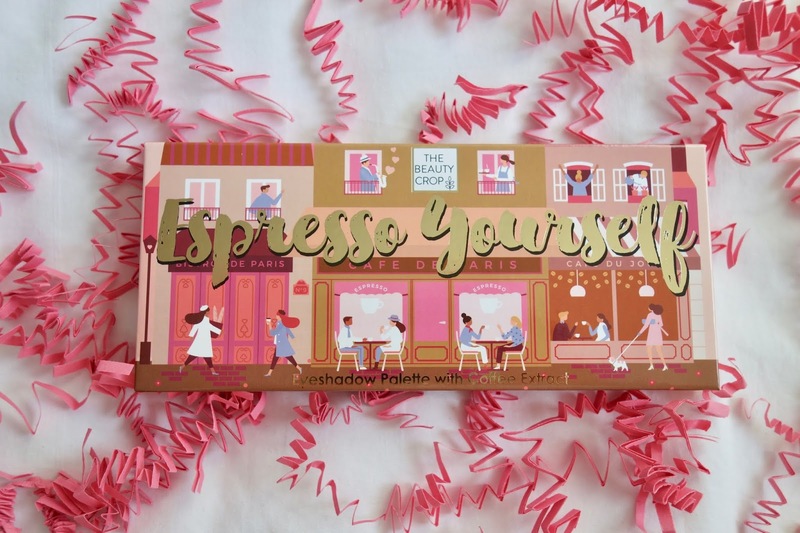 The Beauty Crop Espresso Yourself is enriched with coffee extracts, coconut and shea butter and retails for £23. The palette offers an array of shades, from classic neutrals to berry reds and deeper blues and greys. Some of the matte shades are quite chalky so I would be reluctant to use them on their own but I'm surprised with the shimmer shades as they are very pigmented. 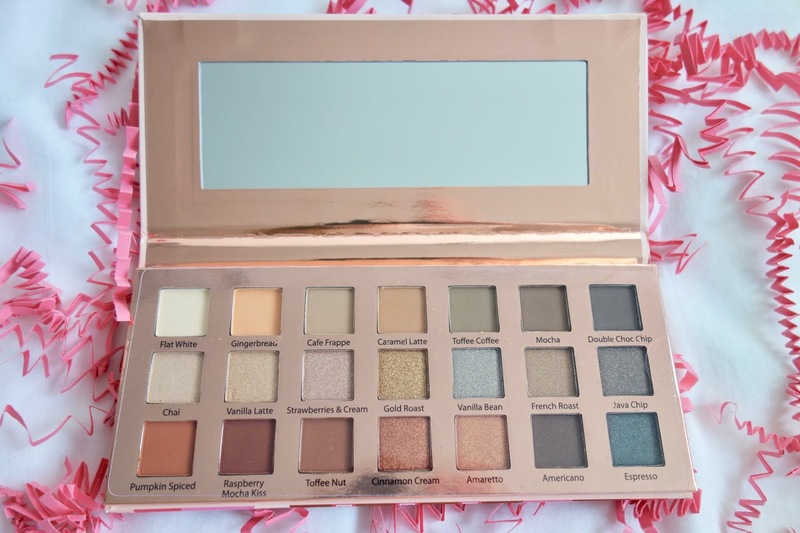 This eyeshadow palette definitely works best with a shimmer shade over the lid and using the matte shades as a transitional shade and/or blending colour. 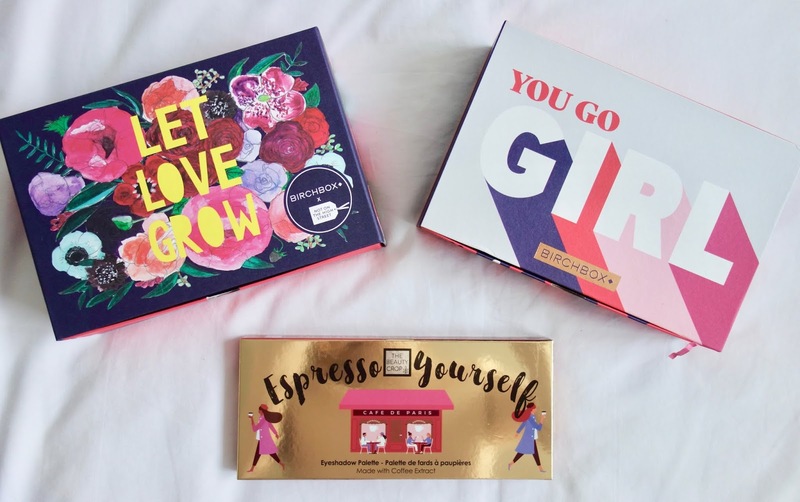 The March BirchBox was in celebration of International Women's Day where I received the standard box and had the option to choose between a brightening ultraviolet or a detoxifying charcoal face mask and a bronzer in either shade Tanneries or Sardinia Sand. The contents of the box if then repurchased as full sized products amounts to £126. To be honest, I think this box could be especially beneficial if you were interested in buying the full size products as decent size bottles of the hair balm and clay mask are provided, when they would cost over £20 each alone. If you are a bit reluctant to buy high end brands without trying them first, this box definitely provides for that. Generation Clay Detoxifying Face Mask: the face mask felt very refreshing and the aloe vera was an added bonus to help soothe my skin and treat any active breakouts. I wouldn't recommend this if you have dry skin as my skin felt a bit dehydrated afterwards. Number 4 Soothing Balm: I tend to switch between a spray form of heat defence/soothing product and a cream form depending on how dry my hair feels. I don't have frizzy hair so I can't comment on how this worked for that but it definitely left my hair feeling soft and smelling nice after drying. Calvin Klein Women Eau De Toilette: I love the smell of this eau de toilette and I'm currently trying to resist the temptation to buy a full sized bottle! Daily Concepts Charcoal Soap Sponge: I enjoy using an exfoliating sponge anyway so the idea of having an exfoliating sponge and soap in one really excited me. The soap smells amazing and it did a great job in making my skin feel smooth and thoroughly exfoliated. 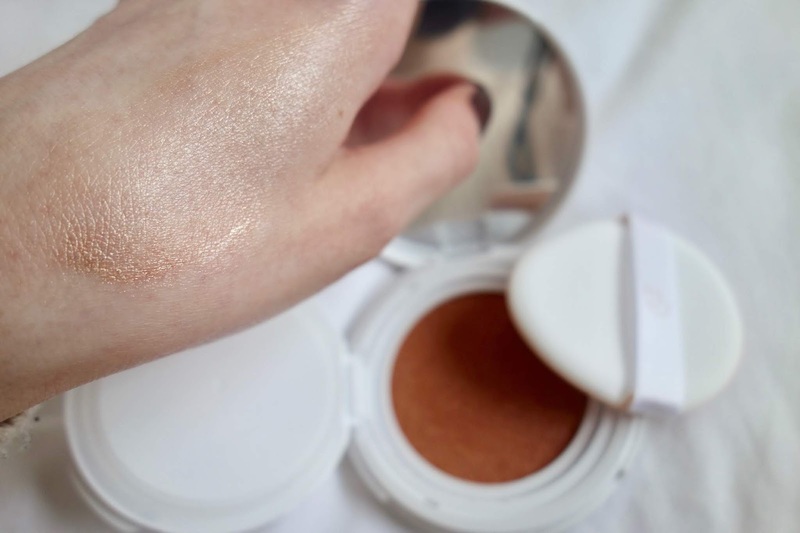 CLĒ Cosmetics Moonlighter Cushion: the cushion highlighter is interesting and certainly works well however I'm more keen on cooler toned highlighters and I'm not sure how long the product would last to justify the £22 RRP. The Beauty Crop Bronzer: unfortunately this was a bit too orange for my pale skin and was a little bit too chalky for my liking. 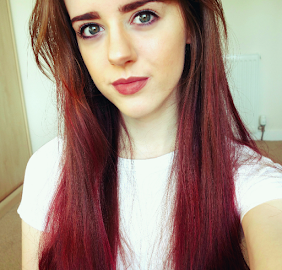 Overall, for £25.90, I was definitely sent a good array of products to try out. My star products are definitely the hair balms and masks, the charcoal products and the eyeshadow palette I received as a first customer. 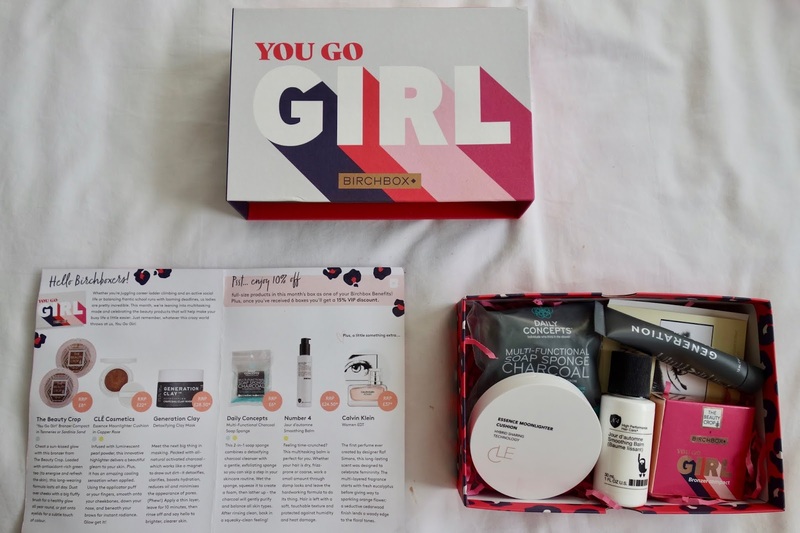 I suppose BirchBox would be particularly useful if you have a holiday coming up as all of the products are travel friendly, which I quite liked. However, I found a few products that I would put to the back of my toiletry shelf such as the shower gel in the February box and the bronzer in the March box. 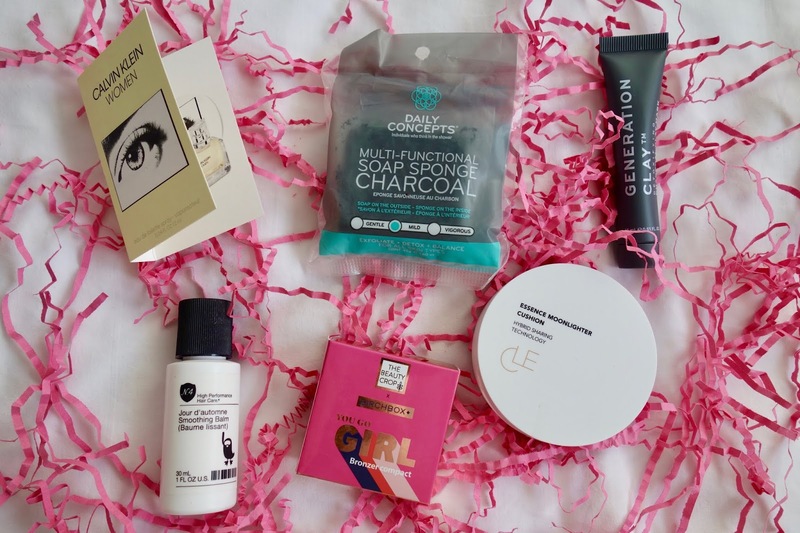 Thankfully, BirchBox allow customers to pause their subscription so I think I will do this and keep an eye out for any products I would fancy testing out in future boxes rather than being unpleasantly surprised and being left with a lot of products going to waste. Do you have a beauty box subscription? If so, I'd love to hear which brand and your opinion in the comments!